Wellness How to stay HOT this winter!! How to stay HOT this winter!! HOW THE HELL ARE YOU MEANT TO STAY HEALTHY THIS WINTER WHEN ALL YOU WANT TO DO IS EAT ALL THE COMFORTING FOODS, SIT ON THE COUCH, WRAPPED UP IN YOUR DOONA AND WATCH NETFLIX…. I say, embrace the change! This is the time to think about really nourishing your body from the inside out. During winter your body requires more fuel to keep warm, and to keep your immune system healthy, which is why we sometimes have the tendency to overeat. To prevent this from happening, it is important to pick the right types of foods to nourish and protect you. Add more wholesome fruit and vegetables, coconut Kefir, live cultured yoghurts, probiotics and all the good healthy fats (like coconut oil, ghee, avocado and olive oil) to your diet, as an extra immune boosting punch. Such a simple addition will really help you fight off that cold that everyone has in the office! It’s also a fantastic time to socialise in a different way! You don’t need stay out of the cold, home alone… embrace the cosy nights in with your friends, invite them over for a girl’s night, movie and yummy dinner, where you each bring something nourishing! What could be better than an endless table of nourishing, warm foods and chats with your gfs? WINTER TIME IS FOOD FOR THE SOUL! Increase foods that are warming, grounding and don’t be scared to add different spices to keep you warm. Spices will also increase your digestion, by creating heat in your body so you won’t suffer that heavy and bloated feeling. Try adding things like, ginger, chilli, cayenne pepper, garlic, coriander seeds, cumin seeds, fennel seeds and cinnamon. Don’t worry you can still have your carbs. Select nourishing cooked grains that won’t leave you unbuttoning your pants, like, Amaranth, Barley, Buckwheat, Oats, Quinoa, Rye and Brown Rice. As with each season, a different variety of vegetables become available, which means amazing variety all year, including, Asparagus, Beets, Brussel Sprouts, Carrots, Corn, Eggplant, Green Beans, Mushrooms, Leeks and Onions and Potatoes, soo much goodness!! Keeping all of the above in mind, there are endless options of yummy, nourishing foods that you can create. I am all about eating and never depriving yourself, so I love coming up with a wholesome twist to my favourite comfort foods. Bring on the slow cooker!!! This bad boy makes life so much easier. Throw ALL the veggies, bone broth, some protein in and let it simmer away while you are at work, then boom cook up some quinoa and you have the quickest, heartiest and yummiest dinner ever! Bonus, you can use the left overs for lunch! Now that sounds like the easiest winter recipe guide ever. LET’S GET PHYSICAL! THE COLD IS EVEN MORE OF AN EXCUSE TO GET HOT & SWEATY! Although winter may make you want to turn in and escape the world, it is really important to keep a steady paced routine. You will probably have lost the eagerness to get outside and exercise, but that doesn’t mean you need to stop moving all together. Like I said before, embrace the change. Winter is a great time to turn inward and try more nurturing workouts that you haven’t tried before. You will still get the blood flowing, heart rate up, just with a different approach! I have thought of workouts that will satisfy all levels. Whether you’re a slow mover or a jack rabbit! They do say summer bodies are made in the winter, so keep moving and show that body some love! Which type of winter mover are you….? 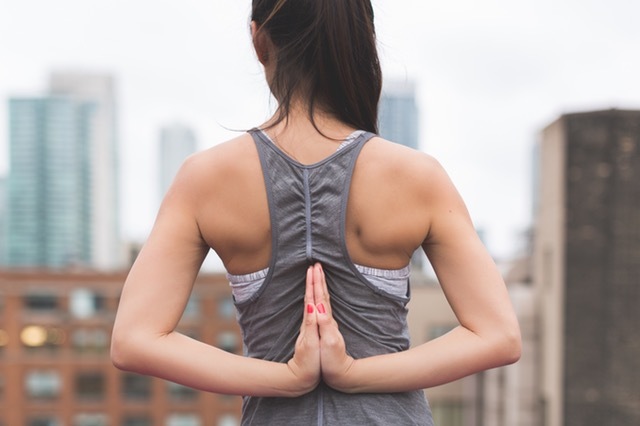 Hot Yoga is for you: Practicing yoga in a heated room, not only makes you sweat out the nasty toxins, you will increase your metabolism and burn some serious calories! Boxing is your calling: Strong is the new skinny! Get strong, confident, work up a serious sweat and burn more calories than you thought possible. Download Asana Rebel: An amazing yoga app, that gives you different levels of your workout! Burn Calories, Get Lean or Just go with The Flow. Perfect when you cant leave the house but need to get your flow on. Download the Kayla Istines App: She will get you sweaty in 14 minutes! You don’t need to sweat it out in the gym when you can stay home and get even better results. Another thing you can add to your winter regime is a Infrared Sauna. Infrared Sauna’s work differently to the old school steam sauna. They work at detoxifying your body which is great tool to add to keep your immune system in check. Sweat out all those germs, toxins and anything else that can hold you back. Always allow rest. Remember we want to be kinder to our bodies in winter. So yes, by all means keep moving, but when your body says, it’s time to cool the jets, try a slower approach to your workout or even take an extra rest day. We will ramp it all back up again come spring. So take advantage of winter to nourish, replenish and restore ready for your spring and summer action activities!! My last winter tip; treat yourself to some amazing indoor plants. You probably won’t be outside as much as usual, so indoor plants are great for cleaning the indoor air of pollutants and toxins and keeping it fresh! To be honest I just love indoor plants! Now you are all ready to embrace the cooler winter weather – get your slow cooker on, invite the girls over for a movie fest and enjoy it! Let’s nourish, replenish and restore and bring on Spring/Summer! No weight gain over here! !